Problems With Your Gate Intercom? Call Us At Gate Repair Escondido! 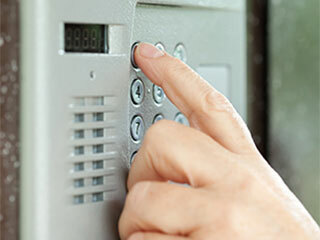 Our trained professionals offer a wide range of gate intercom services. Read more here to discover what we can do for you. A malfunctioning intercom can be an annoying problem. One that appears to be cutting out intermittently could be on its last legs and about to die, leaving you without a functioning intercom. That’s why it’s important to allow our professionals to keep on top of any issues once they occur, rather than letting them get worse over time until you’re left with no intercom. The sooner you have any problems taken care of, the better. All of our professional technicians are experts in what they do. That means that when you call us to get a job done, we get it done properly, and for a fair price. Our experts don’t leave jobs unfinished, so you can count on us to totally take care of any problems you might have with your intercom. Whatever it is that you need, you can count on us to get it sorted for you quickly, effectively, and thoroughly. Whether you need an intercom repaired or replaced, we’re the team for the job. We offer a wide range of services, and our trained professionals can handle every problem. Our experts thoroughly inspect each intercom before deciding on the best course of action to repair or install it. This dedicated focus on their work makes our team the best, fastest, and most affordable service in Escondido. Intercoms can be tough to install and very difficult to repair, which is why it’s best to leave it to our trained technicians to avoid any problems. Call our team today and talk to our friendly staff in order to get your appointment scheduled at a time of your choosing.